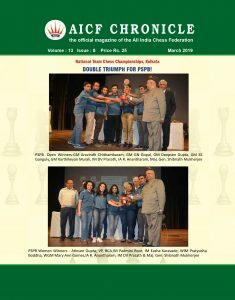 GM Karthik Venkatraman of Andhra Pradesh continued his unbeaten streak to share joint first spot after the halfway stage in the National Junior Open Chess Championships, organized by Delhi Chess Association on behalf of All India Chess Federation. 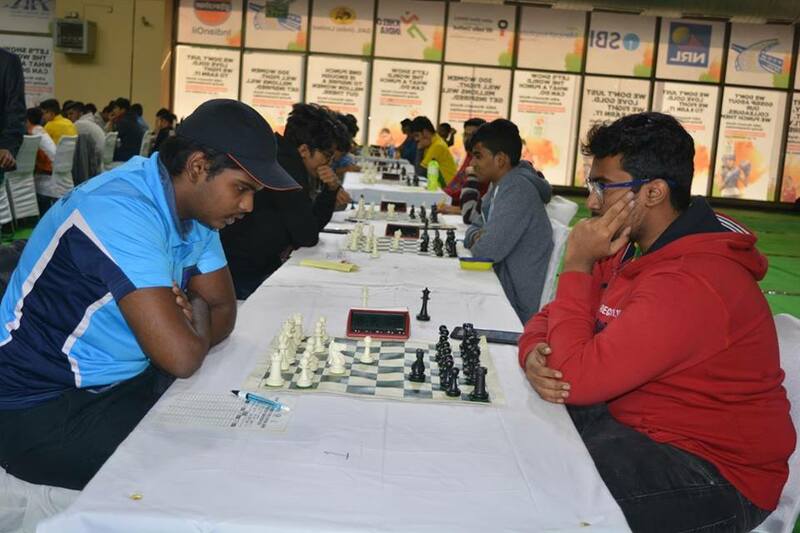 The sixth and seventh round matches were held Sunday where Karthik drew against Rakesh Kumar Jena (Odisha) and defeated IM Rahul Srivatshav (Telangana) respectively to be placed jointly first, along with FM Nitish Belurkar (Goa) with 6.5 points. Meanwhile, in the Girls section, WIM Aakanksha Hagawane emerged as sole-leader with 6.5/7 points. Top three boards had ended in draws. 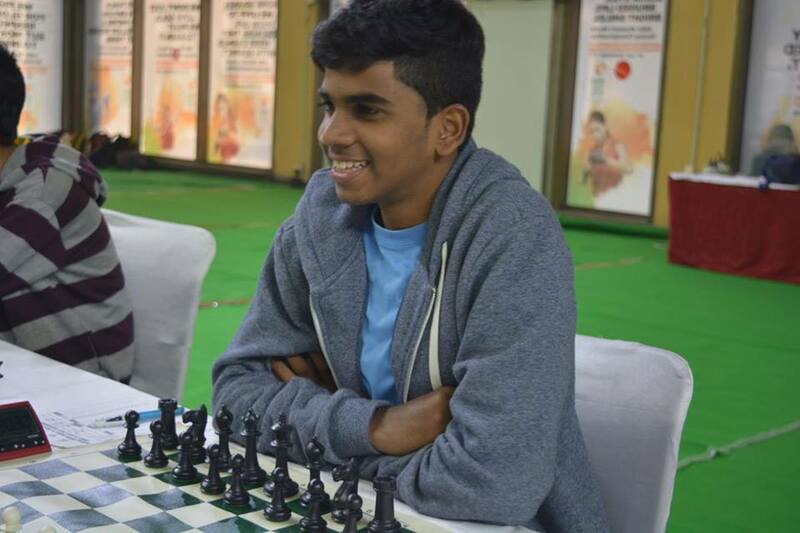 FM Nitish Belurkar scored a decisive result on fourth board against Raahul Vs. of Tamil Nadu. At the end of 6th round GM Karthik Venkataraman, IM Rakesh Kumar Jena , IM Rahul Srivatshav P, and FM Nitish Belurkar of Goa were in joint-lead with 5.5 points. In the girls category, Aakanksha Hagawane and Chitlange Sakshi’s game ended in a draw on board one. On the second board, Jyothsna L defeated Shristi Pandey in 39 moves. On the third board, Vantika Agrawal registered victory against Makhija Aashna. 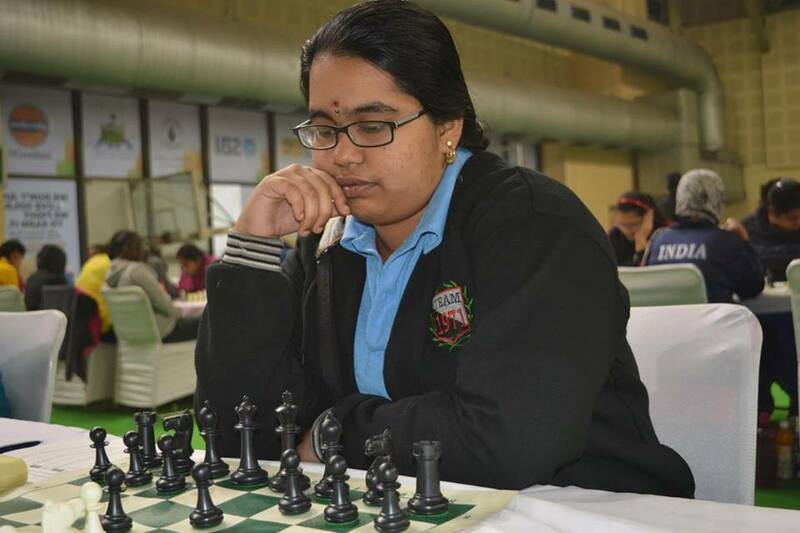 WIM Aakanksha Hagawane, WIM Chitlange Sakshi, WIM Vanthika Agrawal and WCM Jyothsna L were in lead with 5.5 points after 6 rounds. 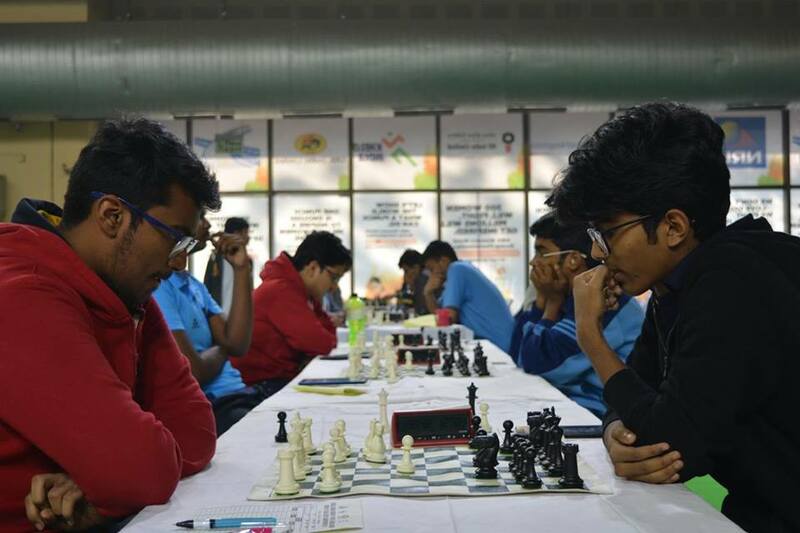 On the top board, Rahul Srivatshav played against Karthik Venkataraman. Rahul opted for London System and soon was having upper hand in the middle game. He was having many chances for draw but he fought for win. On 36th move, he overlooked black’s h6 move. Thereafter Karthik played accurately and won the game. 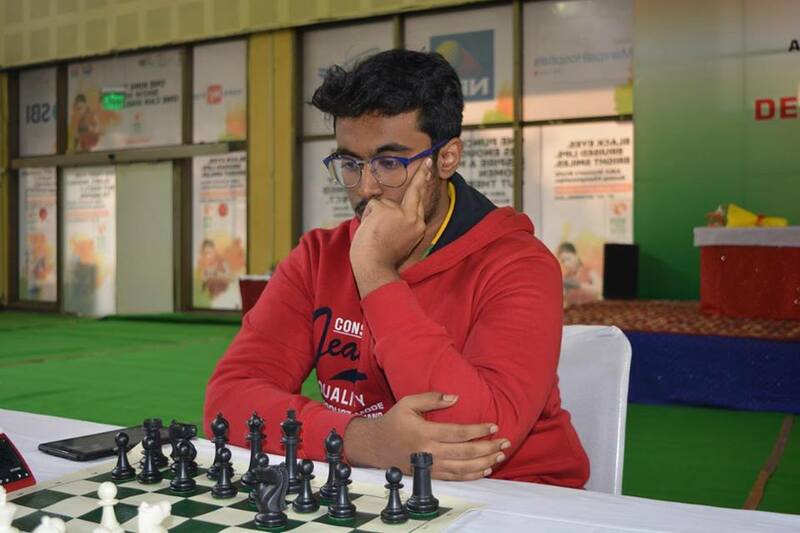 FM Nitish Belurkar overpowered IM Rakesh Kumar Jena on second board. At the end of 7th round, GM Karthik Venkataraman and FM Nitish Belurkar are in joint lead with 6.5 points. 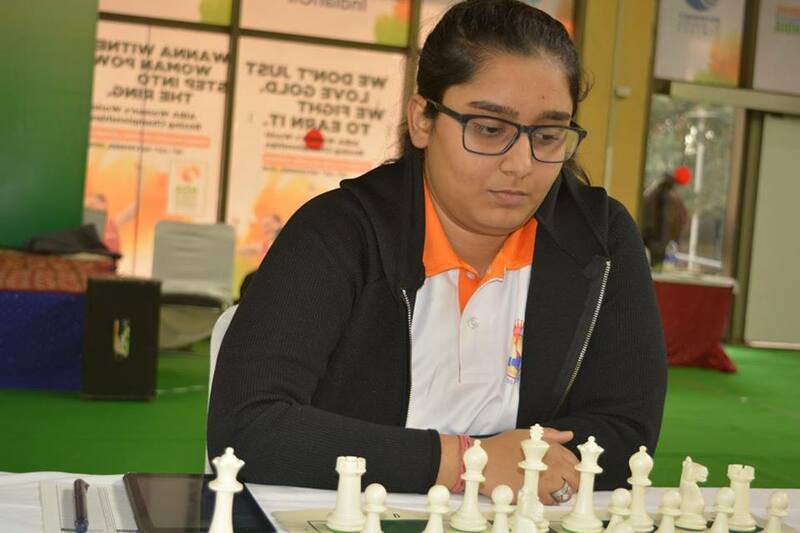 In Girls section, On top board Aakanksha Hagawane played against Vantika Agrawal. Vantika opted for Sicilian defence. In the middle game she played a bit passively and soon was in time pressure. Aakanksha continued her good performance and secured an easy victory. This win made Aakanksha sole leader of the championship. On second board WCM Jyothsna L played against WIM Chitlange Sakshi. In this game both the players played safely and agreed for draw on 44th move.